Since it’s a new year, one of my resolutions is always to focus more on the health of our family. Aside from healthy eating, fitness is also a big part of that. For the last couple years we’ve used Family Time Fitness in our homeschool and we are still loving it! The lessons are super easy, no weird or unusual equipment is required, and the kids love them! Most of you know that I did a review and giveaway for Family Time Fitness last year, you can read it here. Since we are having so much fun with this program, I wanted to do another giveaway for you! They are always very generous with giveaways for you all, and this time they’re offering 2 basketball fitness packages, 2 core one products, and a platinum package to help you get fit in 2013! What does the Homeschool Curriculum include? 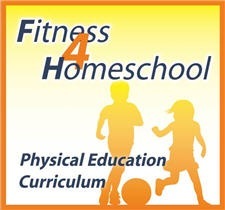 One copy: The Homeschool Platinum Fitness Package includes the above Core 1 Physical Education program, all of the K-5 workbooks, Fundamentals of Basketball Sports Module, and a Free one year subscription to the Home Educating Family magazine. That’s a retail value of $249! Two Copies: The Basketball Fitness Package includes 18 lesson plans, 2 assessment plans, 8-10 week program and video demonstrations. Regularly $99, but they’re offering it for $27 online now! 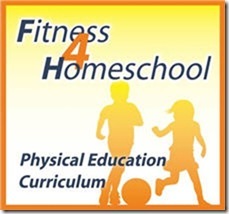 Two Copies: The Core 1 Fitness 4 Homeschool Curriculum includes a startup guide, PDF lesson plans, video demonstrations, assessment tools, reminder emails, lifetime curriculum and video updates, access to online webinars and certificates of completion. Regular price $199, but they’re offering a discount online of $57 right now! Note: One curriculum purchase can be used for all your children, and we never charge any subscription fees or annual renewal fees. Simply fill out the rafflecopter below to enter! I would be super pumped to win any of these packages. Thank you for the giveaway! I’m not sure where to enter my comment for the rafflecopter #1. So I’ll enter it here… Any of them would be great. Core 1 is where I’d most like to start. The Platinum Package seems like the best value. My son, who enjoys basketball, would appreciate the basketball component. The Platinum one for sure, I like the workbooks! This would help our family of 8 ! I would like the Core 1 package. Thank you! Hi I would like the core 1 package please as that is the one we are currently considering. We are in the UK though so not sure if eligible even though there are no physical components to this package. Thank you your website is such an inspiration for a new homeschooling parent. With 2 boys and 2 girls its hard to find something to engage all of them. This sounds great. The platinum looks absolutely wonderful! It seems to cover everything we could possibly want or need!